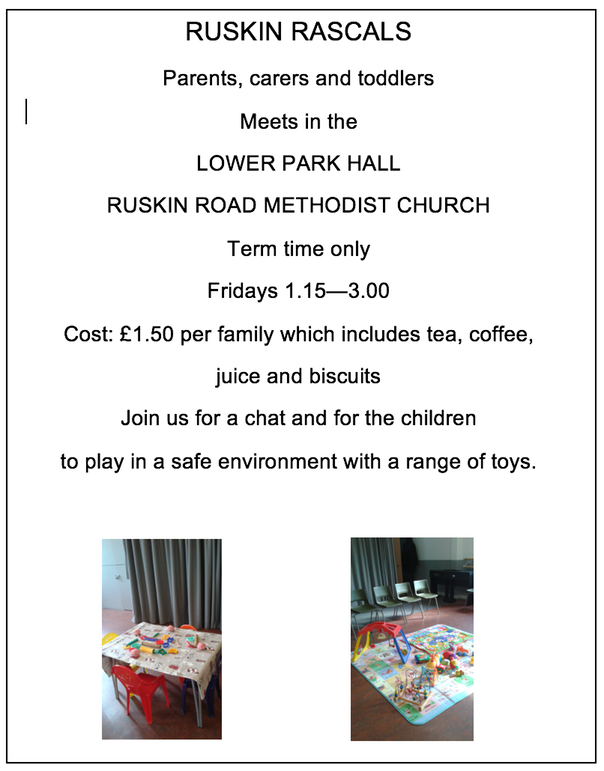 Playgroups are a good opportunity to get out of the house and meet other mums. 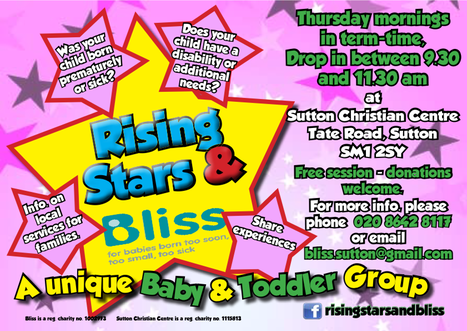 There are playgroups on throughout the week in Carshalton. Here is our pick of the best. Our fee is �1.50 per adult per session which includes tea or coffee and biscuits for the adults and juice and a biscuit for the children. We also offer toast. Mondays at The Quad in Carshalton where young mums can interact with other young parents/parents to be and gain qualifications in subjects such as childcare, first aid etc.�Dawn Scanlan, Teen Parent Project Co-Ordinator, is�also available to do outreach work with any young people who may need additional support or who may not be able to access the group. Please do not hesitate to contact Dawn should you need any more information. Parents get together in a separate room, often with a speaker attending or organized activities for the mums. 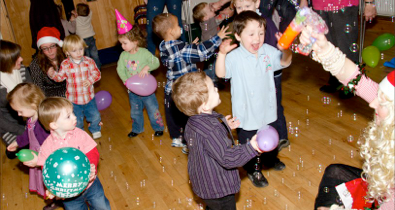 There are supervised creche facilities for the children. The creches are split into three groups - Little Fish (babies) for 0-2 years, Active Little Fish (0-2 year olds) and Big Fish for 2-5 years. If you would like to come for a free taster session please email Pippa. A voluntary donation of �2.00 per family is requested which includes refreshments for the adults and juice and biscuits for the children. Dads and grandparents are also welcome! We open during most school holidays (please ring first to confirm or check this website for details). Admission: �1.50 per child and �2.50 for two or more children. We do not operate a waiting list. We share storytime while sitting together to eat our toast and we finish each session with songtime. Older children are welcome to come along during holidays/Inset days etc. There is an additional charge of 50p for each school age child. There is a safe and secure garden which we use in the warmer weather. We are a very friendly group but please feel free to bring a friend or grandparent along. We understand how daunting the first time can be but it won't last and you'll soon wonder why you were worried in the first place! Admission �2.50 per family or �2.00 to NCT members. 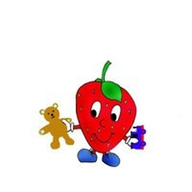 The group has separate baby and toddler play areas, lots of lovely toys with plenty of ride-on toys and a quiet zone for reading or doing puzzles. There will be an exciting messy play activity every week and the session will finish with singing and musical instruments. Tea, coffee, juice and biscuits are included. All proceeds will go to the NCT to help parents in our local area. This is a warm and friendly group so come along and enjoy the fun. If you don't like the idea of coming along on your own, why not call the organizers in advance so that we can meet you and introduce you to other mums/carers. We look forward to meeting you soon. NB No toddlers please. We only accept babies: once they're walking confidently we ask you to move on to our toddler group, Twiglets, which meets on Thursday mornings. This works well because friendships made at The Nest continue through the toddler � �years. NB �We only accept children with their family carers. We ask childminders kindly to respect this. Pre-School children and their parents/carers are welcome at the Good News Crew. We meet on Thursday at 9.30am at Bishop Andrewes for a mixed programme of stories, singing, crafts, and play. The group meets during term time only. Admission is �1.00 per week which includes refreshments and lunch. Toys are provided and they also have a creche worker. There isn't a waiting list. It’s ok to just turn up but it's a good idea to ring Jackie or Lynda first for a chat and to find out more. You don't have to come for the whole session, you can just drop in anytime during 10.00am to 2.00pm.